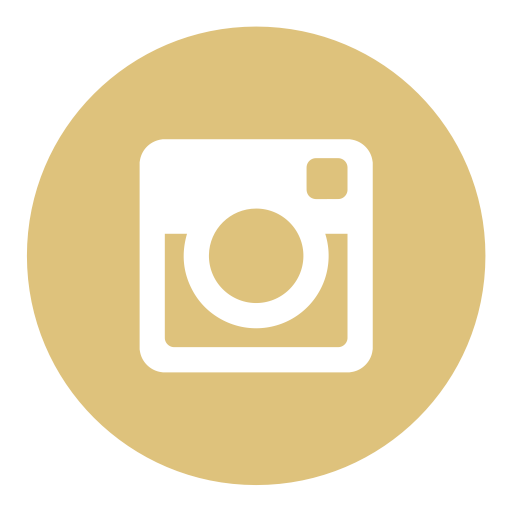 Sean Patrick’s requires a minimum $100.00 non-refundable deposit to book catering. All parties that are late will be charged $50.00 per half hour. 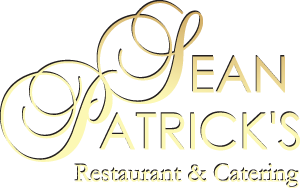 For final payment, Sean Patrick’s accepts cash, cashier’s checks and money orders, credit and debit card payments – no personal checks, please. State and local taxes totaling 7% applied to catering orders unless client provides tax-exempt certificate. Full-service catering (china/linens/full wait staff) available for additional 18%, based on food costs. Seven days’ notice required for final guest count for catering. Sean Patrick’s not responsible or liable for issues connected with food, beverage or accessories not provided by Sean Patrick’s. Prices per 100 portions; appetizers may also be ordered in any quantity divisible by 25. Assorted finger roll sandwiches; deli platter (sliced ham, turkey and roast beef) with lettuce, tomatoes, onions, pickles, cheese, bulkie rolls, mustard and mayonnaise, coffee and tea. Choice of two sides: potato chips, fresh garden salad, meatless Caesar salad, macaroni salad or potato salad. General information: 25 person minimum on all items; call for a price quote for groups of fewer than 25. Paper products included; china and linens are available for an 18% service charge. Catered drop-off-style; wait staff available for $50.00 per hour per server. We require a $100.00 non-refundable deposit the day the party is booked. Deposit is applied toward the cost of your event. For final payment, cash or bank check accepted. No personal checks accepted. 7% meals tax is additional. Not responsible for food, beverages or accessories provided by client. Prices are subject to change. Fresh-cut fruit with berries, muffins, Danish, bagels with cream cheese*, yogurt* with granola, croissants. Comes with two juices, coffee and tea. *Reduced-fat cream cheese, low-fat yogurt and Promise available upon request. Choice of chocolate chip or blueberry pancakes, along with scrambled eggs, home fries, apple-smoked bacon, sausage, assorted pastry, coffee and tea, fresh-cut fruit including fresh berries, and two juices. Omelets cooked on-site; fillings include ham, cheese, peppers, broccoli and onion. Choose 3 sandwich fillings: tuna, turkey, ham, roast beef, grilled vegetable, chicken salad. Choose 2 “sides”: tri-color rotini salad, potato salad, fruit salad, potato chips. Choose 2 “sides”: tri-color tortellini salad, potato salad, Mediterranean bean salad, potato chips, fruit salad. Choose 2 entrees: meatloaf; roast turkey with stuffing; apple-stuffed pork; chicken Parmesan; beef Burgundy; meatballs and sausage cacciatore; lasagna; Asian chicken stir-fry; chicken Marsala; chicken picatta; sirloin tips with peppers and onions. Choose 2 “sides”: mashed potatoes; garlic-mashed potatoes; rice pilaf; oven-roasted potato; egg noodles. Toppings include: warm cheese, jalapeno peppers, black olives, salsa, sour cream and guacamole. 4-ounce hot dog with toppings including lettuce, tomato, chopped bacon, cheese, chopped onion, chipotle barbecue sauce, sauerkraut, chili, mustard, ketchup and relish. Upscale starters available in this area only from Sean Patrick's Catering. Bite-size balls of sweet red pepper and Fontina cheese blended with creamy risotto and asparagus. Chicken with marinara sauce and cheese in a puff pastry shell. Looking to feed 10-15 people? Let Sean Patrick’s do the cooking for you! Order a meal that will be hot and ready for pickup at Sean Patrick’s Restaurant. These meal packages are the perfect option for holiday dinners, impromptu get-togethers, or for sending to a family in need of prepared food. Each meal package serves 10-15 people. Meals are sold as printed below; no substitutions or alterations, please. Meal Packages To-Go are not delivered, customer must pick-up at the restaurant. 22lb roast tueky; mashe potatoes; stuffing; gravy; butternut squash; choice of apple or blueberry pie; rolls; cranberry sauce. Roast beef with wild mushroom demi glace; mashed potatoes; green beans almandine; dill carrots; choice of apple or blueberry pie; rolls. Pork loin with herb sausage stuffing; mashed potatoes; green beans almandine; dill carrots; choice of apple or blueberry pie; rolls. If you have a favorite soup, let us know - we will be glad to provide you with a price quote. Soup is also available for pickup hot or cold by the quart or gallon; price available upon request. Entrées are served with your choice of potato (mashed, baked, oven-roasted) or rice pilaf; vegetable; fresh garden or meatless Caesar salad with dressing; rolls with butter; dessert; coffee and tea. For plated dinners with a choice of two or more entrées, add $.50 to the menu price for each entrée. All continantal breakfasts come with orange juice, apple juice, cranberry juice, coffee and tea. Served with your choice of fresh garden salad with vinaigrette dressing, or meatless Caesar salad; rolls with butter; dessert; coffee and tea. Add 20% to food costs for on-site grilling, which includes 3 hours of labor, disposable ware and utensils. Barbecue packages may also be ordered fully-cooked and ready to serve, at per-person menu price. *Also available packaged as box lunches. * Dropoff service not available for this menu. *Add a carving station with ham, turkey or roast beef for an additional $3.95 per person. non-refundable deposit to book catering.